Have you heard of Granulomatous Meningoencephalomyelitis, more commonly known as GME? I haven’t until recently. And I consider myself fairly knowledgeable about dogs. There is also an even more severe from of this called Necrotizing Meningoencephalitis or NME. What it is in Layman’s terms is an autoimmune disorder that affects mostly small dogs. Which is why we as Chi parents need to be aware of this. It can be deadly. I first learned about this issue through one of our Facebook group members Margaret Ditty. 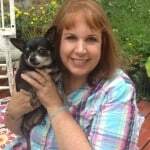 She has a precious little Chihuahua named Cricket who has had very rough time of it since she developed GME and NME. Margaret and her husband Rich have spent thousands trying to get help for their little girl. It’s been a long tough road for the Ditty’s and I admire their dedication to their fur baby Cricket. 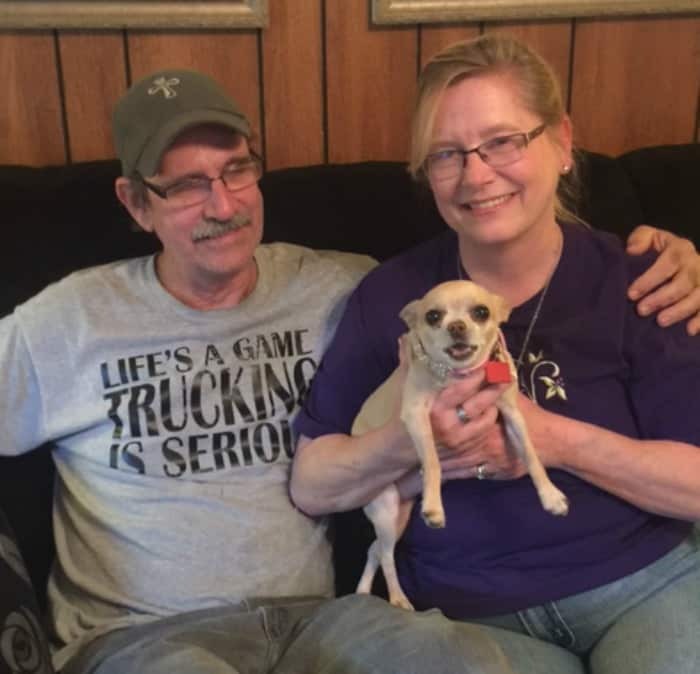 You can read Margaret’s entire story of Cricket and leave a donation too if you want to help them with her medical expenses here. 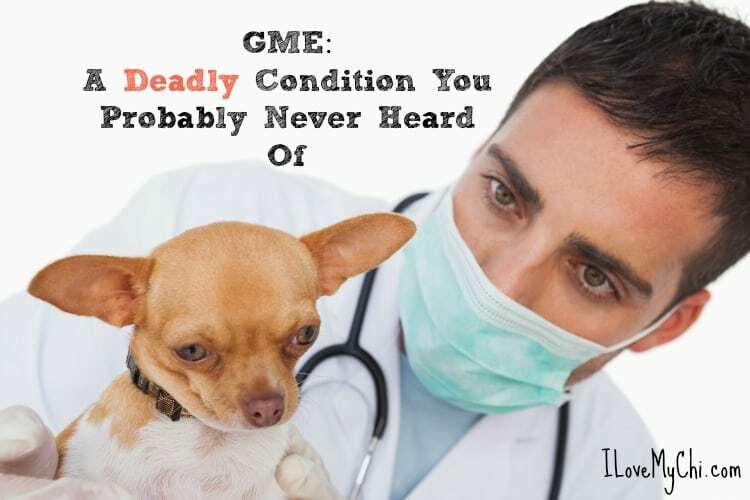 GME is an inflammatory disease of the central nervous system. It usually won’t develop in older dogs over the age of 10. Most vets will tell you that they really don’t know the cause of GME but there are some that believe it is caused by repeated vaccination. Did you know that the same amount of a vaccine given to a 120 pound dog is often given to a 5 pound dog? That is just crazy! It is imperative that you get your dog in to see your veterinarian right away if you suspect GME or are seeing these symptoms in your dog. Without treatment, dogs can die within a day or so after the symptoms start. A basic blood panel and urinalysis and a spinal tap (done under anesthesia) is required. Also sometimes a MRI is needed. 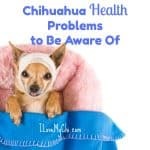 While some dogs just seem to predisposed to this condition, repeated vaccinations seem to bring it on or make it much worse. 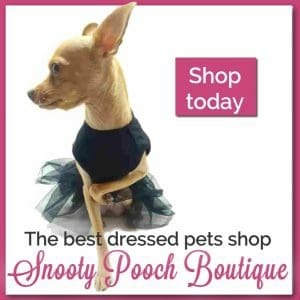 So before your dog’s next vaccinations, you might want to have your vet do a titer test to see if your dog still has the antibodies for the disease the dog would be vaccinated against. If there are antibodies present, there is no need for the vaccine. While the titer test can be expensive, Dr. Becker believes you should call around and find a vet who will do the test at a cheaper price. You can read more about the titer test here. 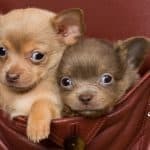 Margaret also suggests that you should be prepared for this or any other pet emergency in advance by getting pet insurance while your pet is healthy and applying for Care credit which is used specifically for veterinary bills and doesn’t have to be paid back right away. That way if an emergency should arise, you can use the Care credit until you are reimbursed from the insurance plan. Then you would pay the Care credit bill. Of course, it would also be a good idea to start an emergency savings fund and save the money yourself. If you or someone you know has a dog with GME and/or NME and would like support, you can join the Pet Parents Fighting NME & GME “Educate, Encourage, Share” group here. I want to thank Margaret and Rich Ditty and Dr. Becker for providing me with much of the information for this article. I pray that it helps save doggy lives. As Margaret says “Educate, Encourage and Share”. Wow, I had no idea about this disease. Thanks for sharing this info with us! You are welcome Layla! Spread the word and share the post so more people will know about this thing. You just dodged a bullet! 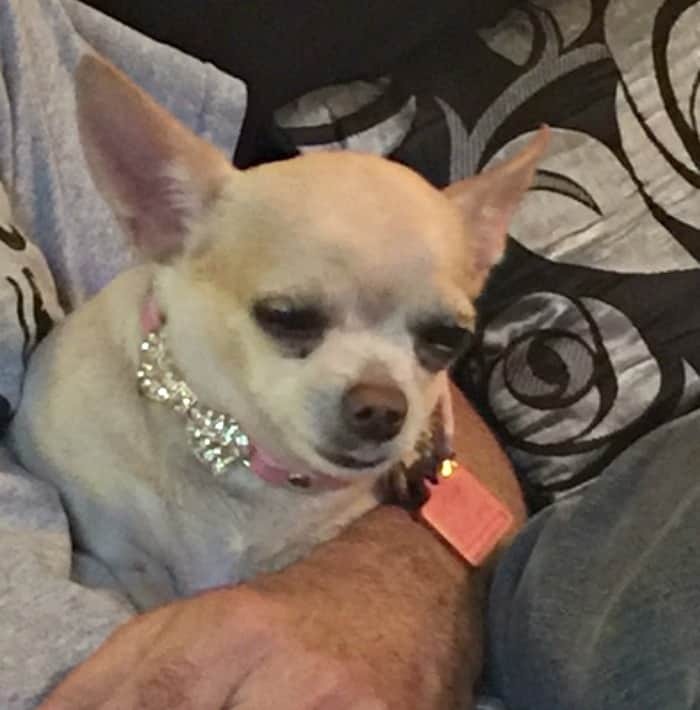 An online acquaintance of mine recently had to watch her chihuahua puppy DIE from vaxxes. Also check out info from Dr. Pitcairn, DVM. I love the book written by Dr. Ruza Bogdanovich “Love Your Pet, Let Nature Be the Vet”. It’s where folks take their pup to a dog park or wild area for like 5 minutes only. Just long enough for a quick exposure to anything that might be around. That is done two or so times to build immunity without needles. Thanks for sharing all the resources Holistic Momma! This is why I don’t vaccinate! Her first and ONLY rabies shot made her deathly ill for three days. She was a little over 1 year at the time. She’s an only dog in the house and doesn’t associate with other dogs. Yeah if she had a reaction, you are right not to re-vaccinate her M.
I was sitting in the vets office yesterday and started talking to a woman who’s dog got it. She also knew someone else that had a dog doing the same kind of things. 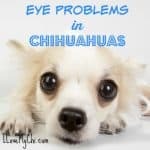 Her dog had seizures and other symptoms including becoming blind. Her friends dog would glide alongside of a wall and then continue on in a circle. That dog had lost his sight. I had no idea that it was believed that vaccinations had caused this. I don’t think that she was aware of this. One of the reasons why I was there was to get my 16 month old pom vaccinated. Ugh. It does sound like GME Rene. Hope she is able to get help for her dog. 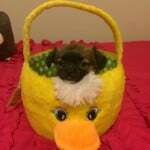 Our precious Katie Lynn yelped snd acted painful December 23, 2015. A trip to the vet and it looked like a back problem. We were referred to the neurologist. By January 12th she was having seizures every 4-5 hours, losing the use of her back legs and in unspeakable pain. MRI and spinal tap revealed idiopathic eosinophilic meningitis. She never responded and we made the painful decision April 18th to let her go. Pathology just returned and stated that although we followed protocol the damage to her brain in the areas of function was too extensive for her to have ever recovered. I still cannot believe that she is gone or that she went downhill so fast. We are heartbroken. Cathy, Thanks for info on GME. This is the first I’ve heard about this. 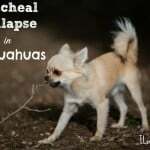 Also I’m not sure if you heard of Lymphangiectasia but this illness in small dogs have become more common lately. 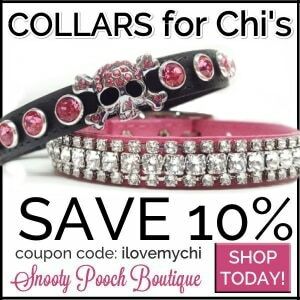 One of out Chi’s was diagnosed with it. 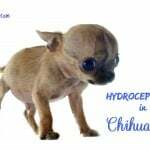 It’s most common in small dogs but have been found in some large dogs. Getting early treatment you have better chance combatting this illness. We started noticing his backbone and ribs as if he was losing weight. Did ultrasound and found his stomach was losing protein due to leakage and not absorbing all protein. 6 wks of B12 shots, Prednasone, Hill’s prescript high protein low fat low fiber diet. He seems to be holding his own. At periods we do start him with the B12 and pred just to keep his appetite. Just wanted to share this. Also there is an Lymphangiectasia support site on Facebook. No I haven’t heard of Lymphangiectasia before Skip. Thanks for the info.